Everyone loves a festive drink to celebrate special occasions. Not all festive drinks need to be filled with alcohol. It’s always a good idea to have non-alcoholic drinks beyond water, tea, and sodas available to those who don’t imbibe or for in between cocktails. This alcohol-free version of the classic Kir Royale cocktail is perfect for those who prefer to keep a clear head. It’s easy to make and presents beautifully. Place raspberry syrup in a chilled champagne flute. Top with sparkling Catawba juice. 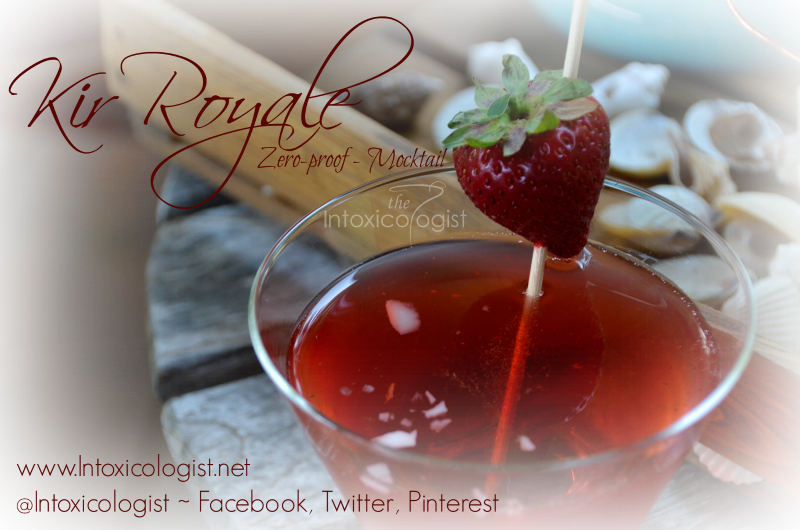 Place fresh strawberry on rim of glass or drop into drink. Add tiny splash of lime juice or fresh lime peel to dial down the sweetness. Sparkling Catawba juice can be found in the juice section of most grocery stores. Raspberry syrup can be found on the coffee aisle with flavored syrups. DaVinci and Torani are two common coffee syrup brands.